A low growing herb with long-petioled leaves, each with three large leaflets. 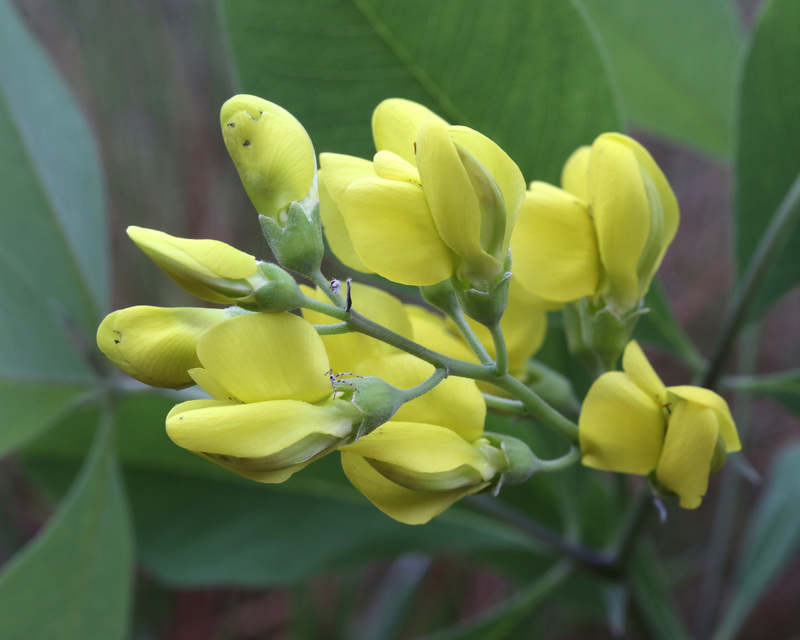 Blossoms develop in dense terminal clusters. The plant is covered with short, silvery hairs. 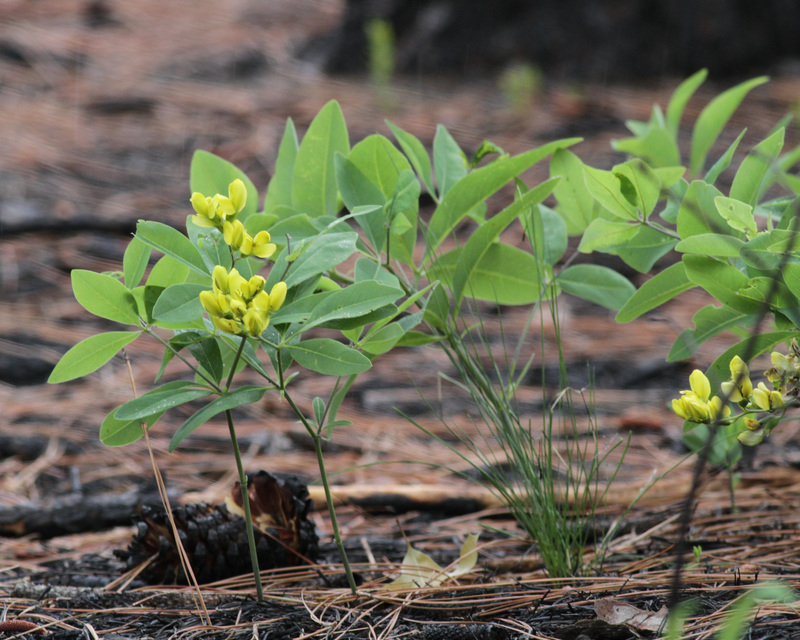 The species is usually found in mature Longleaf Pine tracts and responds well to periodic burns. 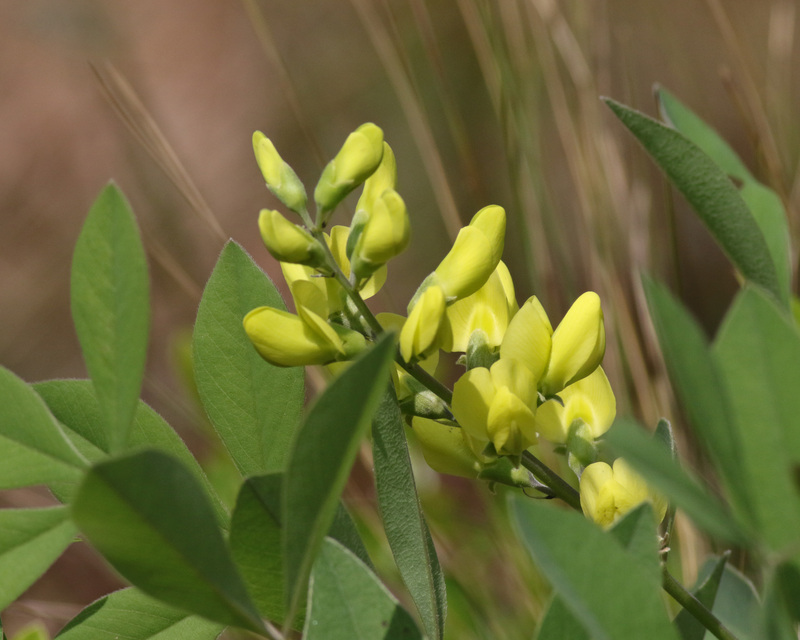 Clusters of blossoms typically appear from late April to early June. 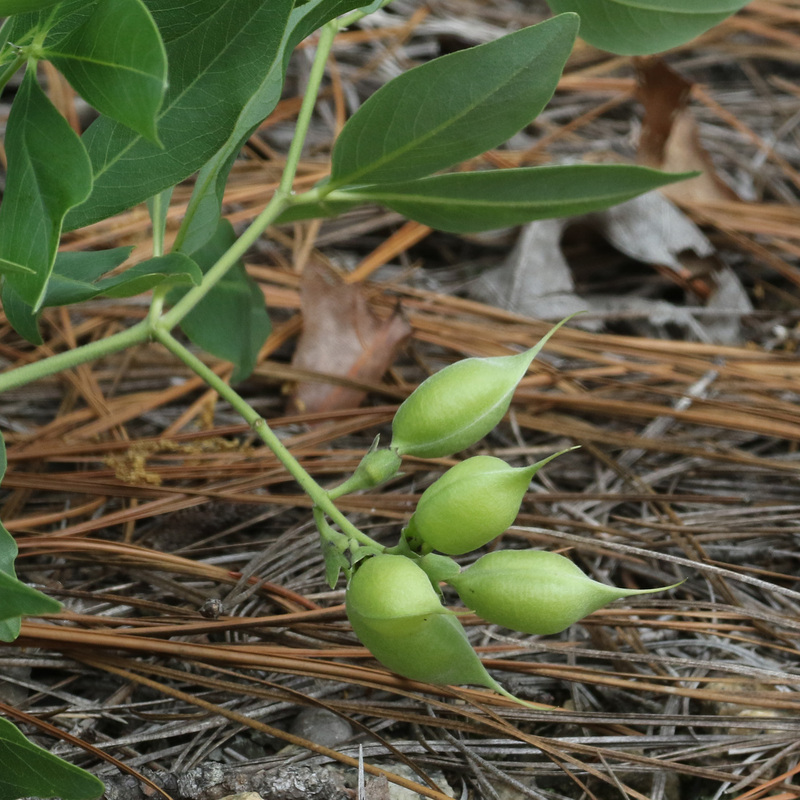 Seedpods develop on Baptisia cinerea by mid-May although I do not see a high rate of fruit/seed production.